Exfoliation can assist in treating skin conditions from adult acne to wrinkles. Adult acne can benefit from exfoliation. A common thread in women of all cultures is a desire for skin that is healthy and beautiful. This goes beyond vanity, as the face we present to the world is our silent ambassador. Blemishes are very distressing. Fortunately advances in the understanding of skin function and technology mean that help is available to improve our most common and often most difficult skin concerns. Exfoliation is an integral part of your skin’s renewal process and a key component in gaining and maintaining flawless skin. Many South African woman experience skin conditions because of environmental factors like the harsh African sun and pollution. The medical and professional skin-care therapist team at Skin Renewal bring over a decade’s worth of in-the-field experience to assist South African women with their skin concerns. Adult acne – a growing concern due to hormones and our stressful, often unhealthy lifestyle. Exfoliation helps unclog blocked pores that can become blackheads or acne. Adult acne on the face and across the chest, shoulders and back. Scarring – most common is post-acne, and also keloid scarring on darker complexions. With deep peels administered by a medical doctor, scarring can be effectively treated. Damage from the sun – in our sun-drenched climate, damage from UV and infrared rays affects most South African skins. Exfoliation can assist in dealing with the effects of extensive exposure to the sun. 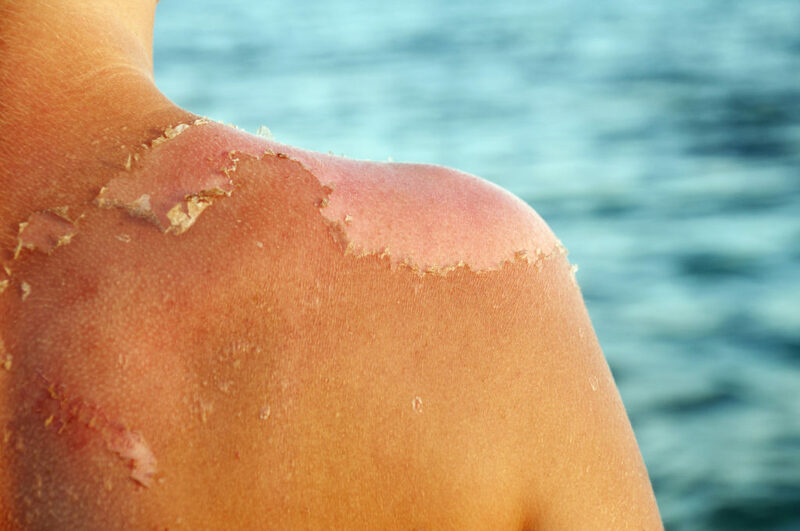 Peeling skin caused by severe sunburn. Ingrown hairs – can cause pigmentation and scarring especially on darker complexions. Regular home exfoliation as well as professional exfoliation treatment can assist in preventing and treating ingrown hairs. 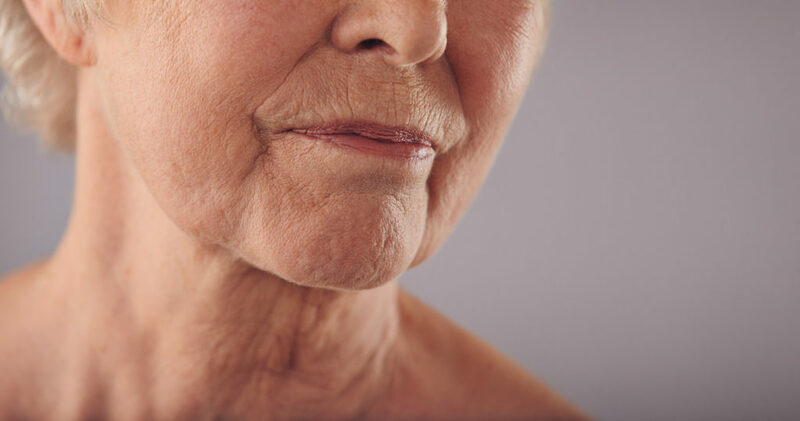 Wrinkles – 80% of what we see is the result of sun damage. Certain deep treatments can also target skin texture and improve deep lines. Keratosis pilaris – this condition is caused by an overproduction of keratin and is notoriously difficult to treat. 3D peels can however assist in alleviating the condition. Our skin reflects our overall health. The skin is the body’s largest organ, and it makes sense to adopt an approach to anti-ageing that treats underlying causes. Skin Renewal’s mission is to help South African women address their skin concerns with the most effective skin-care, treatment, technological and medical solutions available, supported by continuous healthy lifestyle advice. To find out more about the conditions that mostly affect women, the recommended treatment options, as well as the four pillars of addressing ageing skin, visit Skin Renewal at www.skinrenewal.co.za.